Wednesdays – Pickens Flea Market Jam at the Pickens Bargain Exchange Flea Market in Pickens. Take a mid-week break to enjoy some live music and relaxation. For more information call (864) 607-3493 or visit https://www.facebook.com/events/525278567921906/?event_time_id=525278697921893. Through February 3 – “Mr. Poppers Penguins” at the Gunter Theatre in Greenville. Presented by the South Carolinas Children’s Theatre, you will surely enjoy this musical based on the classic book. For more information call (864) 467-3000 or visit https://www.peacecenter.org/events/detail/mr-poppers-penguins. Through February 3 – “Crimes of the Heart” at the Pelzer Auditorium in Pelzer. This production is a Pulitzer Prize winning story of three eccentric southern sisters whose lives have been less than successful whose father is on his death bed with the play using humanity and humor to examine how they can escape the past to seize the future. For more information call (864) 947-8000 or visit http://www.milltownplayers.org/shows. Through February 3 – “Tuck Everlasting: The Musical” at the Electric City Playhouse in Anderson. This is the story of a woman who yearns for a life of adventure and meets a family full of live . . . and youth and when she learns they have a secret to remaining young, she has a choice to make on whether to return to her own life or remain with the family on their eternal journey. For more information call (864) 224-4248 or visit https://ecplayhouse.com/. Through February 3 – “Doublewide, Texas” at the Clemson Little Theatre in Clemson. The smallest trailer park in Texas is about to be annexed and Joveeta Crumpler has enough on her plate with her job, her mother, and her brother who is “way to interested in a womanless beauty pageant” so come out and enjoy a show filled with fun and laughter! For more information call (864) 646-8100 or visit http://www.clemsonlittletheatre.com/season.htm. Through February 6 – “DOUBT: A Parable” at the Center Stage Theatre in Greenville. This powerful story tells about a principal of a Bronx school who is a nun who suspects the priest of having an inappropriate relationship with a male student. For more information call (864) 233-6733 or visit https://centrestage.org/doubt-2/. Through February 10 – “The Glass Menagerie” at the Warehouse Theatre in Greenville. This classic tale by Tennessee Williams tells the story of Amanda, an overbearing mother, her son Tom who wants to be out on his own, and Tom’s daughter Amanda, but is it too late for all of them to improve their lives? For more information call (864) 235-6948 or visit https://warehousetheatre.com/glassmenagerie/. Through February 10 – “Shaboom Shaboom” at the Center Stage Theatre in Greenville. This amazing show will be filled with songs from the 50’s and 60’s and will be a great way for those of that generation to reminisce about the past and those who weren’t to learn more about it! For more information call (864) 233-6733 or visit https://centrestage.org/shaboom-shaboom/. Through February 18 – Skating on the Big Ice at the Bon Secours Wellness Arena in Greenville. Here is a chance to skate in the big arena, so bring the kids or the entire family out for a memory creating experience! For more information call (864) 241-3800 or visit http://www.bonsecoursarena.com/events/detail/skating-on-the-big-ice-2. January 31 – OddBall at the Spartanburg Art Museum in Spartanburg. This fundraising gala for the Museum will include fantastic entertainment, tasty bites, signature cocktails, live music, and more. For more information visit https://www.spartanburgartmuseum.org/events/oddball-2019-fundraiser-for-spartanburg-art-museum. February 1 – 3 – Winter Chautauqua at a variety of locations in and around the Greenville area. The focus this year is on the historical military figure Napoleon Bonaparte being portrayed by Mark Schneider from Colonial Williamsburg with the first show being an opening night gala that includes a meet and greet with the actor, and the two following shows free to the general public, so come see history come alive! For more information call (864) 244-1499 or visit http://www.greenvillechautauqua.org/performances/winter-chautauqua/. February 2 – “Gemini” at the Walhalla Performing Arts Center in Walhalla. You will certainly enjoy a great show with this comedian ventriloquist, and magician! For more information call (864) 638-5277 or visit https://tickets.vendini.com/ticket-software.html?t=tix&w=fee4296072fc54d179ae5e6a7f4c38c8&vqitq=644bcac6-cc08-464d-9de2-b52cf589dd96&vqitp=9ad934e9-969d-461b-b923-249864969db5&vqitts=1503516096&vqitc=vendini&vqite=itl&vqitrt=Safetynet&vqith=fcec6c3bd78ce6049d86b3e239f774c4. February 2 – “Shanghai Opera Symphony Orchestra” at the Brooks Performing Arts Center in Clemson. You’ll enjoy a wonderful show filled with music composed by Verdi, Dvorak, & Xian Xinhai. For more information call (864) 656-7787 or visit http://www.clemson.edu/centers-institutes/brooks/events/event.html?eventid=1293181. February 2 – Sweetheart Charity Ball in Greenville. Proceeds from this event will benefit Meals on Wheels of Greenville County with dinner, hors d’oeuvres, cocktails, music, dancing, and auctions. For more information visit https://mealsonwheelsgreenville.org/mow-event/sweetheart-charity-ball/. February 4 – 5 – “The Three Harriet’s” at the Gunter Theatre in Greenville. Three women will use history, poetry and dance to introduce you to three famous Harriet’s: Harriet Tubman, Harriet Jacobs, and Harriet E. Wilson. For more information call (864) 467-3000 or visit https://www.peacecenter.org/events/detail/the-three-harriets. February 5 – 10 – “A Bronx Tale” at the Peace Center Concert Hall in Greenville. Take a trip to the Bronx in the1960’s where you’ll meet a young man who is torn between his father and the mob boss he hopes to become. For more information call (864) 467-3000 or visit https://tickets.peacecenter.org/Online/default.asp?BOparam::WScontent::loadArticle::permalink=19-BW-BronxTale&BOparam::WScontent::loadArticle::context_id=. 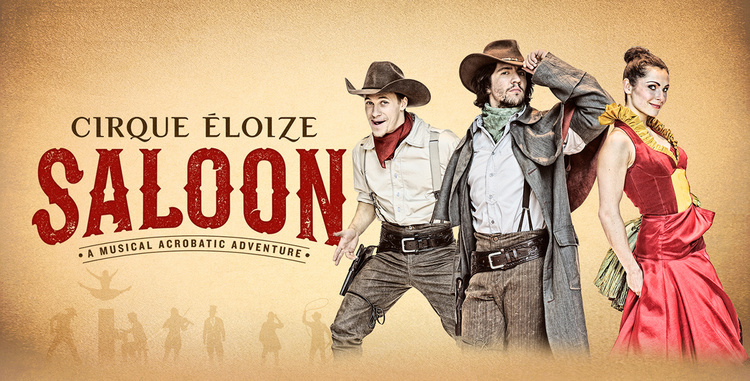 February 6 – Cirque Eloize: Saloon: A Musical Acrobatic Adventure at the Brooks Center for the Performing Arts at Clemson University in Clemson. This is like the Cique you are familiar with just adding a western flair and is like nothing you’ve ever seen before! For more information call (864) 656-7787 or visit https://www.clemson.edu/centers-institutes/brooks/events/event.html?eventid=1293182. February 6 – 7 – “David Drake (David the Potter)” at the Gunter Theater in Greenville. Part of the Peace Passport Field Trip Series, you’ll experience a blend of history, dance, and poetry as you learn about how one man’s story of a life as a slave and his talent as a potter inspired others. For more information call (864) 467-3000 or visit https://www.peacecenter.org/events/detail/david-drake-dave-the-potter. February 6 – May 1 – Writing Workshop with Amy Randall at the Huguenot Mill Conference Room in Greenville. Here is a chance for you to learn to write your own life story through poetry with the help of this talented artist. For more information call (864) 467-3000 or visit https://www.peacecenter.org/events/detail/writing-workshop-1. February 8 – “Rhonda Vincent & The Rage” at the Chapman Cultural Center in Spartanburg. Spend an evening enjoying some fabulous country and bluegrass music by this talented musician and her band! For more information call (864) 948-9020 or visit https://www.chapmanculturalcenter.org/pages/calendar/detail/event/c1/e2190/&DateOfEvent=02/08/2019. February 8 – 9 – Monster Jam at the Bon Secours Wellness Arena in Greenville. Spend an evening enjoying big trucks with monster power and their drivers ability to perform amazing stunts! For more information call (864) 241-3800 or visit http://www.bonsecoursarena.com/events/detail/monster-jam-2019. February 8 – 10 – Atlanta Golden Retriever Club Agility Trial at the T. Ed Garrison Livestock Arena in Pendleton. Golden Retrievers are some of the most beautiful and intelligent dogs and will surely will make attending this event worth your time! For more information visit https://calendar.clemson.edu/event/atlanta_golden_retriever_club_agility_trial_362?utm_campaign=widget&utm_medium=widget&utm_source=Clemson+University#.XE5DbFxKiyI. February 8 – 10 – Switch-a-Roos Children’s Consignment Sale at the Greenville Convention Center in Greenville. If you have some children’s items to part with or are looking for some great bargains on children’s clothes, toys, etc., this is the place you’ll want to check! For more information visit https://meetgcc.com/event/switch-a-roos-childrens-consignment-sale/. February 8 – 17 – “The Last Dance of Dr. Disco” at the Oconee Theatre in Walhalla. You’ll enjoy a show filled with disco music with a twist of evil when Dr. Disco decides to place subliminal messages into disco songs with a plan to take over the world. For more information call (864) 882-1910 or visit http://www.oconeetheatre.org/shows.html. February 8 – 24 – “Steel Magnolias” at the Foothills Playhouse in Easley. This well-known story will have you laughing and crying and ultimately leaving you glad you came! For more information call (864) 855-1817 or visit https://www.foothillsplayhouse.org/. February 9 – The Greater Greenville Master Gardeners Association Symposium at the Greenville Convention Center in Greenville. If you are a plant enthusiast, here is a chance to learn from some of the best gardeners in the State. For more information visit https://meetgcc.com/event/the-greater-greenville-master-gardeners-association-symposium/. February 9 – “Shoulder to Shoulder” at the Gunter Theater in Greenville. The Greenville County Youth Orchestra are prepared to show you how talented they are so come out and support their hard work! For more information call (864) 467-3000 or visit https://www.peacecenter.org/events/detail/gcyo-2. February 9 – 10 – Home and Garden Show at the Spartanburg Memorial Auditorium in Spartanburg. If you are looking to make some modifications to your home or garden this spring, you’ll want to come out and meet with some of the vendors to learn what resources are available and gain some inspiration. 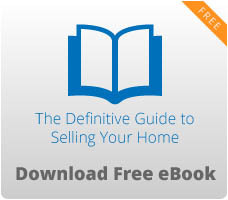 For more information call (864) 582-8107 or visit https://www.crowdpleaser.com/calendar/152/Home+Garden+Show. February 9 – 10 – Platinum Dance Competition at the Spartanburg Memorial Auditorium in Spartanburg. This Regional Competition will be filled with some of the most incredible dancers in our area, so come out and enjoy part or all of the competition. For more information call (864) 582-8107 or visit https://www.crowdpleaser.com/calendar/230/Platinum+Dance+Competition. February 11 – 12 – Call of the Wild: Illustrated Edition at the Gunter Theater in Greenville. Part of the Peace Passport Field Trip Series, this production is based on the classic story by Jack London using 180 degree production that will include a blend of classic illustrations from the original story, period photographs, contemporary drawings, and animation by Michael Rae. For more information call (864) 467-3000 or visit https://www.peacecenter.org/events/detail/call-of-the-wild-illustrated-edition. February 12 – 13 – Tyler Perry’s “Madea’s Farewell Play” Tour at the Spartanburg Memorial Auditorium in Spartanburg. Who doesn’t love the inspiration of Madea so take the opportunity to see her live one last time. For more information call (864) 582-8107 or visit https://www.crowdpleaser.com/calendar/234/Tyler+Perry+s+Madea+s+Farewell+Play+Tour. February 12 – 13 – “Sinatra” at the Center Stage Theatre in Greenville. This show is a wonderful tribute to Frank Sinatra with many of his most popular songs sung by Dave Halston who brings his character to life! For more information call (864) 233-6733 or visit https://centrestage.org/sinatra/. February 13 – “Berlin Philharmonic Wind Quintet” at the Gunter Theater in Greenville. Spend an evening enjoying the magical music as performed by these extremely talented musicians! For more information call (864) 467-3000 or visit https://www.peacecenter.org/events/detail/berlin-philharmonic-wind-quintet. February 14 – Broadway Backwards 3: Valentine’s Day Edition at the Chapman Cultural Center in Spartanburg. Take a look back in time at some of Broadways most romantic and hilarious musical moments just for your Valentine’s Day enjoyment. For more information call (864) 542-2787 or visit https://www.chapmanculturalcenter.org/pages/calendar/detail/event/c1/e2346/&DateOfEvent=02/14/2019. February 14 – “Luke Combs” at the Bon Secours Wellness Arena in Greenville. You’ll enjoy an evening of amazing country music with this talented artist! For more information call (864) 241-3800 or visit http://www.bonsecoursarena.com/events/detail/luke-combs. February 14 – Master Class with the Berlin Philharmonic Wind Quintet at the Gunter Theater in Greenville. Learn how these amazing artists work together to create their incredible music! For more information call (864) 467-3000 or visit https://www.peacecenter.org/events/detail/master-class-with-berlin-philharmonic-wind-quintet. February 14 – “The You and Me Tour: An Evening with Drew & Ellie Holcomb” at the Peace Center Concert Hall in Greenville. This husband and wife duo will serenade you with their Nashville sound for your Valentine’s Day. For more information call (864) 467-3000 or visit https://www.peacecenter.org/events/detail/drew-holcomb. February 14 – 23 – “Songs for a New World” at Billingsley Theatre of the North Greenville University in Travelers Rest. This inspirational production with music and lyrics by Jason Robert Brown tells of the choices we make when faced with a change, loss, or opportunity. For more information call (864) 877-3052 or visit https://www.ngu.edu/theatre-season.php. February 15 – “Toby Mack” at the Bon Secours Wellness Arena in Greenville. One of America’s favorite Christian artists is prepared to provide you with an evening of great music and inspiration! For more information call (864) 241-3800 or visit http://www.bonsecoursarena.com/events/detail/toby-mac-1. February 15 – 16 – “Seussical, Jr.” at the Chapman Cultural Center in Spartanburg. Bring the kids out for a production that they, as well as you, will certainly enjoy! For more information call (864) 542-2787 or visit https://www.chapmanculturalcenter.org/pages/calendar/detail/event/c1/e2052/&DateOfEvent=02/15/2019. February 15 – 17 – Upstate South Carolina Coin Show at the Spartanburg Memorial Auditorium in Spartanburg. If you are in search of a coin for your collection or have one you’d like to try to sell, this is the show for you! For more information call (864) 582-8107 or visit https://www.crowdpleaser.com/calendar/90/Upstate+South+Carolina+Coin+Show. February 15 – 18 – 2019 Oscar Nominated Short Films at the Gunter Theater in Greenville. Here is a chance to see the 15 short films that have been nominated for an Oscar which will encompass documentaries, live action, and animation. For more information call (864) 467-3000 or visit https://tickets.peacecenter.org/Online/default.asp?BOparam::WScontent::loadArticle::permalink=19-PC-Oscar&BOparam::WScontent::loadArticle::context_id=. February 15 – 23 – “Lilly’s Purple Plastic Purse” at the South Carolina Children’s Theatre in Greenville. This show just for children ages 4 and up will teach them how making mistakes is all part of growing up. For more information call (864) 235-2885 or visit https://scchildrenstheatre.org/shop/lillys-purple-plastic-purse/. February 15 – March 3 – “Oklahoma” at the Greenwood Community Theatre in Greenwood. This production by Rogers and Hammerstein is one fun filled musical you will most certainly enjoy! For more information call (864) 388-7800 or visit http://www.emeraldtriangle.us/theatre/main-page. February 16 – “HYMN: Sarah Brightmon Concert” at the Bon Secours Wellness Arena in Greenville. You will not want to miss this multi-Grammy Award winning artist with her incredible beautiful voice! For more information call (864) 241-3800 or visit http://www.bonsecoursarena.com/events/detail/sarah-brightman. February 16 – “Jerry Lee Lewis” at the Peace Concert Hall in Greenville. This iconic musician was one of the first true rock and roll artists and will most certainly take you on a fun journey down memory lane with songs like Great Balls of Fire and Whole Lotta Shakin’ Goin’ On. For more information call (864) 467-3000 or visit https://www.peacecenter.org/events/detail/jerry-lee-lewis. February 16 – Upstate Heart Ball at the Greenville Convention Center in Greenville. This wonderful event will include a seated dinner, live music, and incredible live and silent auctions items with proceeds to benefit those struggling with a heart condition with part of the evening dedicated to honoring survivors with a heart condition or having had a stroke. For more information call (864) 448-3786 or visit https://ahagreenvillesc.ejoinme.org/MyEvents/20182019UpstateHeartBall/tabid/984452/Default.aspx. February 16 – “Romeo and Juliet” at the Twichell Auditorium in Spartanburg. You’ll enjoy an evening with the Spartanburg Philharmonic as they provide you with an enjoyable evening of wonderful music from the Romeo and Juliet Ballet, among other wonderful works to provide you with an evening of romantic music for your Valentine’s weekend celebration. For more information call (864) 948-9020 or visit https://www.spartanburgphilharmonic.org/events/2019/2/16/romeo-and-juliet. February 16 – 17 – S.C. Arms Collectors Association Gun & Knife Show at the Greenville Convention Center in Greenville. If you are a collector or are in search of something specific, here is a show you’ll want to attend. For more information visit https://meetgcc.com/event/sc-armcollectors-association-gun-knife-show/. February 17 – “Sarah McLachlin Featuring Vanessa Freebairn-Smith: An Intimate Evening of Songs and Storytelling” at the Peace Center Concert Hall in Greenville. One of America’s favorite musical artists with her beautiful voice will provide you with an evening of music, story, and inspiration. For more information call (864) 467-3000 or visit https://www.peacecenter.org/events/detail/sarah-mclachlan-featuring-vanessa-freebairn-smith-an-intimate-evening-of-songs-and-storytelling. February 18 – “Russian National Orchestra” at the Peace Concert Hall in Greenville. Recognized by the world as one of the top orchestras, you will not want to miss this chance to see them! For more information call (864) 467-3000 or visit https://www.peacecenter.org/events/detail/russian-national-orchestra. February 19 – Solo Piano Master Class with George Li at the Peace Concert Hall in Greenville. This former silver medalist from the International Tchaikovsky Competion will be on hand to teach you some of his techniques and give you guidance to help you become a better pianist. For more information call (864) 467-3000 or visit https://www.peacecenter.org/events/detail/solo-piano-masterclass-with-george-li. February 19 – “I’m With Her: Sara Watkins, Sarah Jarosz & Aoife O’Donovan” at the Peace Concert Hall in Greenville. You will be amazed by the talent of this band who collectively are a multi-Grammy Award winning group. For more information call (864) 467-3000 or visit https://www.peacecenter.org/events/detail/im-with-her. Through February 23 – “The Gospel According to Tennessee” at the Narroway Theatre in Fort Mill. Set in 1926, this dinner show will include not only great food, but a great faith based story with lots of music and fun! For more information call (803) 802-2300 or visit https://narroway.net/dinner-shows/gospel-tennessee. Through February 28 – Drama Kids After School Drama Fun at the Aiken Community Theatre in Aiken. Here is a chance for the kids to enjoy learning the art of acting and all that goes with theatrical performances. For more information call (803) 648-1438 or visit https://aikencommunitytheatre.org/shows-1/. Through March 19 – Carolina Piedmont Seminar Series: Birding ID at the Museum of York County in Rock Hill. If you’ve wanted to learn the art of identifying the birds around you, here is a chance with monthly sessions followed by a field trip (after March 19th) at which time you’ll have a chance to use what you’ve learned in the outdoors. For more information call (803) 329-2121 or visit http://chmuseums.org/event/2554/. Through May 25 – Guided Horseback Trail Ride at the Anne Springs Close Greenway in Fort Mill. Spend a Saturday taking a trip through the Greenway on horseback led by one of the Greenways equestrian staff. For more information call (803) 547-4575 or visit https://www.ascgreenway.org/events/detail/guided-horseback-trail-ride. January 31 – Erasure Drawing II at the Center for the Arts in Rock Hill. Take what was learned in the first session to create more energy and depth in your art. For more information call (803) 328-2787 or visit https://www.yorkcountyarts.org/art-classes. January 31 – “Who’s Bad” at the Newberry Opera House in Newberry. This Ultimate Michael Jackson Experience ill serenade you with all of your favorite Michael Jackson songs! For more information call (803) 276-6264 or visit https://www.newberryoperahouse.com/shows-and-events.html?show_name=who-s-bad. January 31 – Aiken Antique Show: Cocktails & Collectors Preview Party at the Aiken Center for the Arts in Aiken. Here is a chance to be the first to view items on display, with those attending turning in their ticket for one of two chances to win a $1,000 shopping spree at the Show. For more information call (803) 641-9094 or visit http://aikencenterforthearts.org/antiques-in-the-heart-of-aiken/. January 31 – February 1 – “Masters of Soul” at the AECOM Community Center in Aiken. You’ll enjoy a show that celebrates the legendary songs and performers who defined Motown and soul, with songs that will surely take you on a journey down memory lane! For more information call (803) 643-4774 or visit https://apagonline.org/seasons/2018-2019/mastersofsoul.html. February 1 – “The Pitchforks” of Duke University at the Wood Auditorium in Camden. If you haven’t seen them before you will be amazed at the incredible talent of this group! For more information call (803) 425-7676 or visit https://www.fineartscenter.org/event-calendar/. February 1 – 3 – Aiken Antique Show at the Aiken Center for the Arts in Aiken. If you love antiques or want to learn more about them, here is a chance to not only view some fabulous antiques but also attend lectures and workshops, and Sunday’s show will also include a Bloody Mary bar during the lunch hours, with proceeds from the event to benefit the Center for the Arts. For more information call (803) 641-9094 or visit http://aikencenterforthearts.org/antiques-in-the-heart-of-aiken/. February 2 – Wild Wonder Saturday at the Museum of York County in Rock Hill. This program will talk about groundhogs and how they have come to be used to predict the weather. For more information call (803) 329-2121 or visit http://chmuseums.org/event/2564/. February 2 – How to Read Music at the Fine Arts Center of Kershaw County in Camden. If you’ve been wanting to play an instrument and struggled to read the music to play songs, here is a chance for you to gain the knowledge. For more information call (803) 425-7676 or visit https://www.fineartscenter.org/other-classes/. February 2 – By Way of the Backdoor at Historic Brattonsville in McConnells. Learn about the lives of the enslaved who lived on the plantation with cooking and other living history demonstrations. For more information call (803) 684-2327 or visit http://chmuseums.org/event/2578/. February 2 – “Delbert McClinton” at the Sumter Opera House in Sumter. Spend an evening enjoying the great music of this multi-Grammy Award winning artist! For more information call (803) 436-2500 or visit https://www.sumtersc.gov/operahouse/events/mainstage. February 2 – “Gaelic Storm” at the Newberry Opera House in Newberry. If you enjoy Gaelic music, you will surely enjoy the music of this talented group! For more information call (803) 276-6264 or visit https://www.newberryoperahouse.com/shows-and-events.html?show_name=gaelic-storm. February 3 – “The Lang/Rainwater Duo” at the Lancaster Cultural Arts Center in Lancaster. You’ll enjoy the sounds of a solo trombone and piano with these very talented artists! For more information call (803) 285-7451 or visit https://www.lancastercitysc.com/events/the-lang-rainwater-duo/. February 4 – “Arlo Guthrie” at the Newberry Opera House in Newberry. You will most certainly want to see this talented singer/songwriter in person! For more information call (803) 276-6264 or visit https://www.newberryoperahouse.com/shows-and-events.html?show_name=arlo-guthrie. February 4 – 6 – Finding Light in your Watercolors at the Center for the Arts in Rock Hill. This three day workshop will allow you to learn from Vladislav Yeliseyev who has received numerous awards for his work from around the world. For more information call (803) 328-2787 or visit https://www.yorkcountyarts.org/art-classes. February 6 – “In This House” at Studio Theatre in Rock Hill. This multi media dance performance will provide you with an evening of wonderful entertainment! For more information visit https://tickets.vendini.com/ticket-software.html?m=cc8af6f9b07bd8a0bcb9e21846773c40&t=tix&vqitq=93a0f393-4b76-46eb-8156-76d88e9677e0&vqitp=21e9b2f9-9b9c-4ee7-894e-de9b9d9150ae&vqitts=1548640823&vqitc=vendini&vqite=itl&vqitrt=Safetynet&vqith=5cb002e53963592893f31dbcfcb61300. February 7 – “Sam Bush” at the Newberry Opera House in Newberry. This talented mandolin player will serenade you with a great performance! For more information call (803) 276-6264 or visit https://www.newberryoperahouse.com/shows-and-events.html?show_name=sam-bush-added-show. February 8 – “The Embers” at the Newberry Opera House in Newberry. This iconic group will provide you with an evening of beach music that will have you dancing in the isles! For more information call (803) 276-6264 or visit https://www.newberryoperahouse.com/shows-and-events.html?show_name=the-embers. February 9 – Happy Worms at the Adventure Center of the Anne Springs Close Greenway in Fort Mill. Learning the art of worm composting and to use their castings to enhance your soil will help your plants immeasurably! For more information call (803) 547-4575 or visit https://www.ascgreenway.org/events/detail/greenway-speaker-series-falconry-1. February 9 – “Beatles: The Ballet” at the Wood Auditorium in Camden. You’ll enjoy not only an evening of great ballet by the Columbia City Ballet, but music created by the “Fab 4”. For more information call (803) 425-7676 or visit https://www.fineartscenter.org/event-calendar/. February 9 – “The Fabulous Thunderbirds” at the Newberry Opera House in Newberry. You will most certainly take a journey down memory lane with this blues/rock band that has been around for 30 years! For more information call (803) 276-6264 or visit https://www.newberryoperahouse.com/shows-and-events.html?show_name=the-fabulous-thunderbirds. February 9 – Stratas (Mixed Media) with Marcia Kort Buike at the Center for the Arts in Rock Hill. Use the natural patterns that form the creation of the earth to create an amazing piece of art! For more information call (803) 328-2787 or visit https://www.yorkcountyarts.org/art-classes. 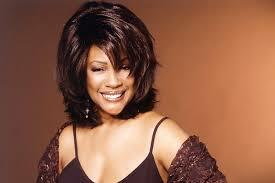 February 10 – “Mary Wilson” of the Supremes at the Newberry Opera House in Newberry. This member of the most successful female group in history will provide you with an incredible evening of music! For more information call (803) 276-6264 or visit https://www.newberryoperahouse.com/shows-and-events.html?show_name=mary-wilson-of-the-supremes. February 12 – Ink Drawing with Marge Moody at the Center for the Arts in Rock Hill. Learn how to use ink and other implements to create a beautiful piece of art! For more information call (803) 328-2787 or visit https://www.yorkcountyarts.org/art-classes. February 13 – 17 – “Annie Get Your Gun” at the Johnson Theatre at Winthop University in Rock Hill. You will most certainly enjoy this revamped American classic story about the sharp-shooter, Annie Oakley. For more information call (803) 323-2399 or visit https://tickets.vendini.com/ticket-software.html?m=cc8af6f9b07bd8a0bcb9e21846773c40&t=tix&vqitq=93a0f393-4b76-46eb-8156-76d88e9677e0&vqitp=21e9b2f9-9b9c-4ee7-894e-de9b9d9150ae&vqitts=1548640823&vqitc=vendini&vqite=itl&vqitrt=Safetynet&vqith=5cb002e53963592893f31dbcfcb61300. February 14 – Havana Cuba All Stars at the Etherredge Center of the USC Aiken Campus in Aiken. This high energy show is filled with Cuban music and dancing that will have you ready to get up and dance! For more information call (803) 641-3305 or visit https://etherredge.usca.edu/cultural-series-havana-cu/2019-02-14-19-30. February 14 – “Happy Valley Church of the Redeemed” at the Narroway Theatre in Fort Mill. This is a mystery theater interactive production that will have you filled with laughter before you leave! For more information call (803) 802-2300 or visit https://narroway.net/mystery-theater/happy-valley. February 14 – “The Malpass Brothers” at the Newberry Opera House in Newberry. Enjoy an evening of great country music by this iconic country group! For more information call (803) 276-6264 or visit https://www.newberryoperahouse.com/shows-and-events.html?show_name=the-malpass-brothers. February 15 – “The Platters” at the Sumter Opera House in Sumter. Take a journey down memory lane with the songs you know by this historically iconic band! For more information call (803) 436-2500 or visit https://www.sumtersc.gov/operahouse/events/mainstage. February 15 – “Darryl Worley” at the Sylvia Theater in York. You’ll enjoy an evening filled with some great country music by this talented musician! For more information call (803) 684-5590 or visit https://sylviatheatre.com/. February 15 – “The Gibson Brothers” at the McCelvey Center Lowry Family Theater in York. Celebrate your Valentine’s Day with some awesome bluegrass! For more information call (803) 684-3948 or visit http://chmuseums.org/event/2586/. February 15 – “Delbert McClinton” at the Newberry Opera House in Newberry. Spend an evening enjoy music by this multi-Grammy Award winning artist and legendary artist! For more information call (803) 276-6264 or visit https://www.newberryoperahouse.com/shows-and-events.html?show_name=delbert-mcclinton. February 15 – 23 – “Cheaper By The Dozen” at the Aiken Community Theatre in Aiken. You’ll enjoy a fun show about a father who has decided to “apply his unorthodoxed methods” of efficiency onto you and the family leaving you embarrassed with a show filled with loads of humor! For more information call (803) 648-1438 or visit https://aikencommunitytheatre.org/shows-1/2019/2/15/cheaper-by-the-dozen. February 16 – Winter Birding Hike at the Dairy Barn of the Anne Springs Close Greenway in Fort Mill. Spend a couple of hours on your Saturday morning enjoying a walk through the Greenway that will allow you to see some of the winter residents! For more information call (803) 547-4575 or visit https://www.ascgreenway.org/events/detail/winter-birding-hike. February 16 – Soul-icious: A Celebration of Life, Laughter, Love, & Heritage at the Historic Price House in Camden. In celebration of Black History Month, you’ll enjoy dancing, games, food, fun, and fellowship. For more information call (803) 425-7676 or visit https://www.cityofcamden.org/events/soul-icious-celebration-life-laughter-love-and-heritage. February 16 – “Sleeping Beauty” at Patriot Hall in Sumter. This wonderful story presented by the Columbia City Ballet will be a wonderful ballet to bring your aspiring little dancers to. For more information call (803) 799-7605. February 16 – “The Del McCoury Band” at the Newberry Opera House in Newberry. You’ll be tapping your toes to the tunes of this group that has been around for 50 years! For more information call (803) 276-6264 or visit https://www.newberryoperahouse.com/shows-and-events.html?show_name=the-del-mccoury-band. February 17 – “Phillip Bush & Friends” at the Wood Auditorium in Camden. Enjoy an evening of fabulous chamber music by this talented pianist and his “friends”. For more information call (803) 425-7676 or visit https://www.fineartscenter.org/event-calendar/. February 17 – “Farruquito Flamenco” at the Newberry Opera House in Newberry. You will be amazed by the incredibly talented dancing by this fantastic artist! For more information call (803) 276-6264 or visit https://www.newberryoperahouse.com/shows-and-events.html?show_name=farruquito-flamenco. February 19 – Beginning Bird ID at the Museum of York County in Rock Hill. If you’ve always wanted to be able to identify the birds around you, here is a chance to learn just how to do that! For more information call (803) 329-2121 or visit http://chmuseums.org/event/2569/. February 19 – “Mark O’Connor with Maggie O’Connor” at the Sylvia Theater in York. You’ll spend an evening enjoying amazing music by these two fabulous fiddlers! For more information call (803) 684-5590 or visit https://sylviatheatre.com/. Through February 3 – “Little Shop of Horrors” at the Florence Little Theatre in Florence. Bring the kids out for what is sure to be a fun and entertaining show! For more information call (843) 662-3731 or visit http://www.florencelittletheatre.org/shows. Through February 3 – “Little Shop of Horrors” at the Florence Little Theatre in Florence. Floral assistant, Seymour, stumbles on a new breed of plant that turns out to be a foul-mouthed, R&B singing carnivore who promises fame and fortune, as long as Seymour feeds it blood, until he learns of the plants intent to dominate the world in a fun and entertaining show you and your children will surely enjoy! For more information call (843) 662-3731 or visit http://www.florencelittletheatre.org/shows. Through February 3 – “The Red Velvet Cake War” at the Summerville Community Theatre in Summerville. This “southern-fried comedy” is set in Texas and tells the hilarious story of a Verdeen family reunion with tons of chaos, laughter, and of course, everyone wondering who made the best Red Velvet Cake. For more information call (843) 875-9251 or visit https://www.flowertownplayers.org/copy-of-school-of-rock. Through February 23 – “She Drives Me Crazy” at the 34 West Theatre in Charleston. In this “Friends meet Seinfeld” romantic comedy, you’ll enjoy fun and music from the 90’s! For more information visit https://www.34west.org/tickets/she-drives-me-crazy. January 30 – “Neko Case” at the Charleston Music Hall in Charleston. Spend your evening enjoying Indie rock at its best! For more information call (843) 853-2252 or visit https://www.charlestonmusichall.com/event/1773509-neko-case-charleston/. January 31 – Tribes of the Lowcountry at the Morris Center for Lowcountry Heritage in Ridgeland. You’ll learn about the Native American tribes of the area and their migration patterns, and learn about a variety of tools they used. For more information call (843) 284-9227 or visit http://www.morrisheritagecenter.org/events/. January 31 – Pechakucha 33 at the Charleston Music Hall in Charleston. You’ll be inspired by the accomplishments of local creative artists and how they came to make their dreams come true! For more information call (843) 853-2252 or visit https://www.charlestonmusichall.com/event/1789758-pechakucha-33-charleston/. January 31 – “Solve it Cyrus and the Aftermath of Math Class” at the Francis Marion University Performing Arts Center in Florence. For students and teachers alike, this production will help you make math fun! For more information call (843) 661-1720 or visit https://fmupac.org/event/solve-it-cyrus-and-the-aftermath-of-math-class/. January 31 – February 3 – “Legally Blond: The Musical” at Wando High School in Mount Pleasant. Based on the book by Amanda Brown, the story is about a sorority girl who enrolls at Harvard Law School in order to win back her ex-boyfriend and initially is seen as a “ditzy blond” who turns out to be a great advocate for others, so come out and support the students putting on this fun and entertaining show! For more information visit https://www.facebook.com/wandomusical/. February 1 – “Whiskey Myers: Die Rockin’ Tour” at the House of Blues in Myrtle Beach. If you haven’t seen this incredible country group, you should make the effort! For more information visit http://www.houseofblues.com/myrtlebeach/EventDetail?tmeventid=2D0055660D908AA5&offerid=93344. February 1 – “Gaelic Storm” at the USC Beaufort Center for the Arts in Beaufort. You’ll enjoy the wonderful sounds of the Celts in this wonderful concert! For more information call (843) 521-4145 or visit https://southcarolinalowcountry.com/events/event/beaufort-gaelic-storm/. February 1 – 2 – “Royal Fireworks” at the Gaillard Center in Charleston. Presented by the Charleston Symphony Orchestra, with Yuriy Bekker on the violin and as conductor, presenting this composition by Handel. For more information call (843) 242-3099 or visit https://gaillardcenter.org/event/royal-fireworks-2/. February 1 – 3 – Palmetto Patriots Gymnastics Classic at the Charleston Area Convention Center in North Charleston. You’ll enjoy a day filled with some of the best gymnastics in the State. For more information call (843) 747-1882 or visit https://www.palmettopatriotsclassic.com/admissions. February 1 – 3 – Low Country Winter Coin Show at the Exchange Park in Ladson. For all you collectors out there, and there will be an activity for the kids to engage in to teach them about the art of collecting! For more information call (843) 302-6210 or visit http://www.lowcountrycoinclub.com/coinshows.html. February 1 – 17 – “The 25th Annual Putnam County Spelling Bee” at the Footlight Theatre in Charleston. This Tony Award winning musical will certainly make you laugh while capturing your heart! For more information call (843) 722-4487 or visit https://footlightplayers.net/events/the-25th-annual-putnam-county-spelling-bee/. February 1 – 28 – Gullah Celebration at various locations on Hilton Head Island. Throughout the month will be a variety of events with everything from Gullah foods to eat and learn how to cook, to the arts, to history and beyond, so make plans to attend one or more of these fun and educational events! For more information visit http://gullahcelebration.com/. February 2 – Monster Jam at the Florence Center in Florence. Bring the kids out or just your significant other for a great night of big trucks and big stunds! For more information call (843) 679-5425 or visit https://www.florencecenter.com/events/2019/monsterjam19. February 2 – Lowcountry Family Expo at the Charleston Area Convention Center in North Charleston. Bring the whole family out for a day of education, fun activities, contests, and interactive fun! For more information visit http://eveningpostevents.com/lowcountry-family-expo/. February 2 – “Russell Dickerson” and “Carly Pierce” at the House of Blues in Myrtle Beach. Enjoy a show filled with country music by two very talented artists! For more information visit http://www.houseofblues.com/myrtlebeach/EventDetail?tmeventid=2D005565B8484DE1&offerid=92966. February 2 – “Look! Forward Exhibit Celebration” at the Morris Center for Lowcountry Heritage in Ridgeland. This photography exhibit showcases the beauty and strength of those living life with disabilities and will most certainly inspire you. For more information call (843) 284-9227 or visit http://www.morrisheritagecenter.org/events/. February 2 – “Gift of Song” at the Carolina Forest Branch Library in Myrtle Beach. This extremely talented group of singers uses their special talents to bring gentle music to those in the area who are on the threshold of living and dying and others in need of comfort and here is a chance for everyone to hear them. For more information visit https://thresholdchoir.org/longbay. February 2 – Whale of a Sale at 1964 Ashley River Road in Charleston. Known as the biggest garage sale in Charleston, the Junior League of Charleston’s signature event, will offer a large variety of items at great discounted prices, so come out and see what special treats you can find! For more information send an email to whale@jlcharleston.org or visit https://www.jlcharleston.org/whale-of-a-sale/. February 2 – Met Opera: Carmen at the USC Beaufort Center for the Arts in Beaufort. For more information call (843) 521-4145 or visit https://www.uscbcenterforthearts.com/met-opera. February 2 – Paws and Pearls Oyster Roast at the Summerville Country Club in Summerville. Enjoy all you can eat oysters, wine, beer, live music, dancing, and a live and silent auction with proceeds to benefit Dorchester Paws and programs that support the pet loving community. For more information call (843) 871-3820 or visit https://dorchesterpaws.org/oysterroast/. 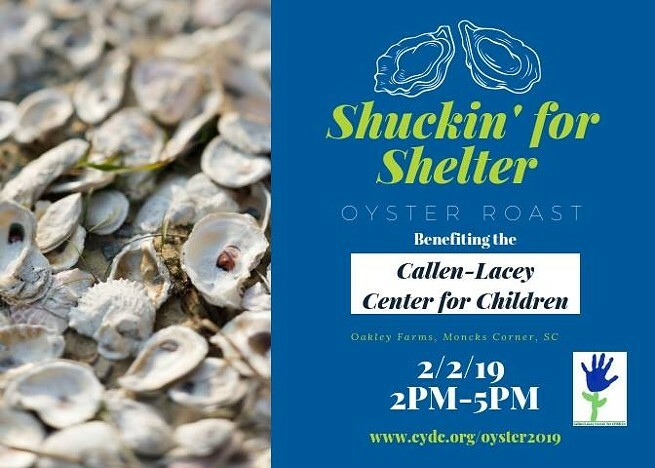 February 2 – Shuckin’ for Shelter Oyster Roast at Oakley Farms in Moncks Corner. Spend an afternoon enjoy tasty steamed oysters with all proceeds to benefit the Callen-Lacey Center for Children. For more information visit https://cydc.org/oyster2019tickets/. February 2 – Save the Light Half-Marathon & 5K at the Folly Beach Pier in Folly Beach. Who doesn’t like the beautiful Morris Island Lighthouse, so come out and enjoy a run or run/walk with proceeds going to the fund to help save the lighthouse! For more information visit https://www.ccprc.com/3258/Save-the-Light-Half-Marathon-5K. February 2 – 3 – American Heritage Festival at Grahams Historic Farm in Lake City. This fun and educational event will include battle reenactments, cannon demonstrations, historical speakers, colonial merchants, with food and beverages available, live music, contests, a drumming circle, and more so bring the whole family out for a day of education and fun on this beautiful historic farm! For more information visit https://www.theamericanheritagefestival.com/. February 4 – “Young the Giant” at the North Charleston Performing Arts Center in North Charleston. Spend your evening enjoying music by this talented rock group! For more information call (843) 529-5000 or visit https://www.northcharlestoncoliseumpac.com/events/detail/young-the-giant. February 5 – “Shanghai Opera Symphony Orchestra” at the Gaillard Center in Charleston. Known for its interpretations of the world most historic composers, this is sure to one incredible show! For more information call (843) 242-3099 or visit https://gaillardcenter.org/event/shanghai-opera-symphony-orchestra/. February 5 – “Drive By Truckers” and “Lucinda Williams” at the North Charleston Performing Arts Center in North Charleston. Enjoy an evening filled with some awesome country music with these two talented groups! For more information call (843) 529-5000 or visit https://www.northcharlestoncoliseumpac.com/events/detail/drive-by-truckers-lucinda-williams. February 5 – “The Magpie Salute” at the Charleston Music Hall in Charleston. This group, featuring members of the former Black Crowes, will give you an evening of some surprisingly great bluesy rock music! For more information call (843) 853-2252 or visit https://www.charlestonmusichall.com/event/1759759-magpie-salute-charleston/. February 6 – 24 – “Curious Incident of the Dog in the Night-Time” at the Dock Street Theatre in Charleston. This is the story of a brilliant 15 year old boy who is accused of killing his neighbor’s dog and sets out to find out just who killed the dog. For more information call (843) 577-5967 or visit https://charlestonstage.com/shows-and-tickets/the-shows/61-the-curious-incident-of-the-dog-in-the-night-time.html. February 7 – Double Creek Pro Rodeo for Special Kids at the Florence Center in Florence. This is a show just for kids with physical and mental disabilities that will allow them to interact with the cowboys and the animals in a safe and secure environment. For more information call (843) 679-9417 or visit https://www.florencecenter.com/events/2019/rodeo4kids. February 7 – POD Tours America at the Charleston Music Hall in Charleston. This is a political podcast that breaks down the week’s news and helps people figure out what matters and how to help. For more information call (843) 853-2252 or visit https://www.charlestonmusichall.com/event/1816904-pod-tours-america-charleston/. February 8 & 9 – Florence Stampede & Pro Rodeo at the Florence Center in Florence. You’ll enjoy a show filled with national, regional, and even local talented that will show you roping, bronc riding, steer wrestling and more so bring the whole family out for a night of fun and entertainment! For more information call (843) 679-4525 or visit https://www.florencecenter.com/events/2019/rodeo4kids. February 8 – Grungefest: “Joe Hero – Ultimate Foo Fighters Tribute” at the House of Blues in Myrtle Beach. For the Foo Fighters fans out there, you will certainly enjoy this show! For more information visit http://www.houseofblues.com/myrtlebeach/EventDetail?tmeventid=2D005627FCE18F5A&offerid=96340. February 8 – Paint and Sip at the Morris Center for Lowcountry Heritage in Ridgeland. Local artist Amiri Farris will guide you in creating a wonderful piece of artwork while you enjoy sipping your favorite beverage. For more information call (843) 284-9227 or visit http://www.morrisheritagecenter.org/events/. February 8 – “The Fab Four” at the Charleston Music Hall in Charleston. For the Beatles fans out there, you’ll certainly enjoy this fun and entertaining show that will take you on a journey down memory lane. For more information call (843) 853-2252 or visit https://www.charlestonmusichall.com/event/1763244-fab-four-charleston/. February 8 – “The Grey Havens: Storehouse Tour” at Journey Church in Ladson. This talented group will provide you with an evening of wonderful inspirational music! For more information call (843) 297-8609 or visit https://www.itickets.com/events/413378.html. February 9 – Pee Dee Baby & Family Expo at the Florence Center in Florence. This show is for expecting parents and will help them to know what products and resources are available. For more information call (843) 679-4525 or visit https://www.florencecenter.com/events/2019/peedeebabyexpo. February 9 – “Goldilocks and the Three Bears” at the Florence Little Theatre in Florence. Children 2 to 10 will enjoy a fun show about one of America’s favorite fairy tales. For more information call (843) 662-3731 or visit http://www.florencelittletheatre.org/shows. February 9 – “Cody Jinks” at the North Charleston Performing Arts Center in North Charleston. For more information call (843) 529-5000 or visit https://www.northcharlestoncoliseumpac.com/events/detail/cody-jinks. February 9 – “Walk the Moon” at the House of Blues in Myrtle Beach. You’ll be dancing to the great music of this rock/pop band! For more information visit http://www.houseofblues.com/myrtlebeach/EventDetail?tmeventid=2D005541E6F77E27&offerid=91499. February 9 – Chocolate Truffles 101 with Lisa Sweeny at the Morris Center for Lowcountry Heritage in Ridgeland. If you’ve always wanted to learn how to make your own truffles, here is your chance but you need to hurry as one class has already filled up! For more information call (843) 284-9227 or visit http://www.morrisheritagecenter.org/events/. February 9 – “The Steel Drivers” with “The Lowhills” at the Charleston Music Hall in Charleston. You’ll enjoy a show filled with bluesy rock and roll music with a little bit of a country flare! For more information call (843) 853-2252 or visit https://www.charlestonmusichall.com/event/1760010-steeldrivers-charleston/. February 9 – Hilton Head Island Marathon, Half-Marathon, & 8K at Jarvis Creek Park on Hilton Head Island. You’ll enjoy a beautiful scenic run in the marathon and half marathon run, and the 8K will be a 4 person relay that will take them over the Cross Island Bridge with the runs followed by a Kids Fun Run, live music, food, craft beer, refreshments, door prizes, and awards! For more information visit http://www.bearfootsports.com/hilton-head-marathons.html. February 9 – Cupid’s Chase at James Island County Park in Charleston. This 5K run/walk supports residential and employment opportunities for individuals with disabilities. For more information http://imatter.comop.org/site/TR/Race/General?fr_id=1716&pg=entry. February 9 – The Chocolate Affair at the Charleston Marriott on Lockwood Drive in Charleston. You’ll enjoy a fabulous dinner and a full bar and a wonderful variety of chocolate desserts provided by some of the most exclusive restaurants in Charleston with proceeds to benefit Communities in Schools. For more information visit http://www.thechocolateaffair.net/. February 9 – 10 – Land of the Sky Gun & Knife Show at the Ladson Exchange Park in Ladson. If you are a collector or just looking for something specific, or even just looking for something to do, this show has a little bit of everything to suit everyone! For more information call (843) 572-3161 or visit http://www.coastalcarolinafair.org/events. February 10 – Disney’s “Dcappella” at the North Charleston Performing Arts Center in North Charleston. This is a talented acappella group will amaze you as will the opening act, crescendo, a group of talented high school students from Fort Hill, South Carolina so come out and support them! For more information call (843) 529-5000 or visit https://www.northcharlestoncoliseumpac.com/events/detail/disneys-dcapella. February 10 – Mountainfilm on Tour at the Charleston Music Hall in Charleston. This documentary film event provides a show for kids and adults with both helping attendees learn how to help create a better world! For more information call (843) 853-2252 or visit https://www.charlestonmusichall.com/event/1798979-mountainfilm-on-tour-kids-charleston/. February 10 – Chef’s Feast at the North Charleston Convention Center in North Charleston. Nearly 30 of the areas most celebrated chefs will be preparing a fabulous meal that will be followed by a live auction with proceeds to benefit the 10 coastal counties as they fight childhood hunger. For more information visit https://www.lowcountryfoodbank.org/donate-2__trashed/chefs-feast-the-lowcountry-food-bank/. February 11 – Florence Symphony Orchestra the Francis Marion University Performing Arts Center in Florence. Spend an evening enjoying great chamber music! For more information call (843) 661-1720 or visit https://fmupac.org/event/florence-symphony-concert-3/. February 12 – WEZL “Concert for the Kids” at the Charleston Music Hall in Charleston. This concert includes Runaway Jane, Jon Pardi, and Waterloo Revival. For more information call (843) 853-2252 or visit https://www.charlestonmusichall.com/event/1810404-wezl-concert-for-kids-charleston/. February 12 – March 3 – “Blithe Spirit” at the Arts Center of Coastal Carolina on Hilton Head Island. This fantasy comedy tells the story of how a medium is invited to hold a séance to help a writer with his latest project, but as he later finds out, she brought back his first wife, Elvira, to haunt him and creates all sorts of trouble for him with his current wife that will have you rolling with laughter in the isles. For more information call (843) 686-3945 or visit http://www.artshhi.com/performance-shows/blithe-spirit. February 13 – “Love & Tango” at the Midtown Theatre in Charleston. Just for Valentine’s Day you’ll enjoy an evening of romantic and exciting Tango music! For more information call (843) 906-9981 or visit https://www.midtownproductions.org/productions. February 13 – 16 – “Paula Vogel’s ‘The Oldest Profession’” at the Francis Marion University Performing Arts Center in Florence. You’ll enjoy a show set at the time Ronald Regan enters the white house, with lots of humor and compassion and will be a show you will certainly enjoy! For more information call (843) 661-1720 or visit https://fmupac.org/event/previous-next-paula-vogels-the-oldest-profession/. February 14 – “Taj Mahal Trio” at the Charleston Music Hall in Charleston. Spend your evening enjoy some wonderful blues music with these extremely talented artists! For more information call (843) 853-2252 or visit https://www.charlestonmusichall.com/event/1693432-taj-mahal-trio-charleston/. February 15 – “Edwin McCain” at the Charleston Music Hall in Charleston. One of South Carolinas most loved and famous artists has come to Charleston so come out and enjoy the show! For more information call (843) 853-2252 or visit https://www.charlestonmusichall.com/event/1781850-edwin-mccain-charleston/. February 15 – 17 – Southeastern Wildlife Expo at a variety of locations in downtown Charleston. One of the most exclusive wildlife art events in the southeast, you will find some of the most talented artists works on display, as well as other activities including birds of prey demonstration, the Busch Wildlife Sanctuary show, retriever demonstrations, chef demonstrations, and a sheep and duck herding demonstration just to name a few, so if you’ve never attended this event, you won’t want to miss the chance to enjoy yourself and see some incredible works of wildlife art! For more information visit https://sewe.com/. February 16 – Is this Art? Comedy Show at the Summerville Community Theatre in Summerville. You’ll enjoy the improv group from Savannah’s Front Porch Improv, and Atlanta’s talented comedian, Derick Flynn. For more information call (843) 875-9251 or visit https://www.flowertownplayers.org/. February 16 – A Valentine’s to Remember at the Francis Marion University Performing Arts Center in Florence. This is a fundraising jazz performance featuring the Florence Area Big Band and special guest, local native, Stockton Helbing. For more information call (843) 661-4444 or visit https://fmupac.org/event/a-valentines-to-remember/. February 16 – Southern Soul Valentine’s Spectacular at the North Charleston Performing Arts Center in North Charleston. This show will feature Betty Wright, Tucka, Lebrado, Ronnie Bell, Lysa, Roi Anthony, and Gwen Butler so grab your significant other and come out for a fun evening of great music and lots of fun! For more information call (843) 529-5000 or visit https://www.northcharlestoncoliseumpac.com/events/detail/southern-soul-valentines-spectacular. February 16 – Sirius XM Outlaw Country presents “Jamie Johnson” at the House of Blues in Myrtle Beach. Fill your evening with some awesome country music with this very talented artist! For more information visit http://www.houseofblues.com/myrtlebeach/EventDetail?tmeventid=2D0056319EDA327E&offerid=96969. February 16 – “Women & Zeppelin: A Tribute to Led Zeppelin” at the Charleston Music Hall in Charleston. If you think a group of women couldn’t possibly do a tribute show for Led Zeppelin, you’ve got a surprise coming! For more information call (843) 853-2252 or visit https://www.charlestonmusichall.com/event/1785905-women-zeppelin-tribute-charleston/. February 16 – Mardi Crawl on Shem Creek at a variety of locations along Shem Creek. Six participating restaurants will offer food and drink specials, live music, games, beads and more, with proceeds to benefit the S.C. Chapter of the Alzheimer’s Association, Pet Helpers, and other local charities. For more information visit http://lcparrotheads.org/mardi-crawl-central/. February 16 – Mardi Gras Gala at Sonesta Resort on Hilton Head Island. You’ll enjoy an evening of fun and great food, with proceeds to benefit those struggling with mental illness in the area. For more information visit https://namilowcountry.org/mardigras2019/. February 16 – 17 – “Ain’t Nobody’s Business” at the USC Beaufort Center for the Arts in Beaufort. You’ll enjoy an evening of great music by the 50’s, 60’s, and 70’s. For more information call (843) 521-4145 or visit https://www.uscbcenterforthearts.com/2018-19-schedule-1. February 16 – May 25 – “Sharing the Chores: Works on Paper by Jonathan Green” at the Morris Center for Lowcountry Heritage in Ridgeland. This incredible artist creates art that depicts the lowcountry and brings it to life based on his own childhood upbringing, so be sure to come see the work of this very talented artist. For more information call (843) 284-9227 or visit http://www.morrisheritagecenter.org/events/. February 17 – Wedding Festivals at the Charleston Area Convention Center in North Charleston. If you’re getting married, here is a chance to see what resources are available to help you with pulling off what will be one of the most memorable events of your life! For more information visit https://secure.exposites.com/weddingfestivals.com/show.html?show.id=6920. February 17 – “Tesla: Shock USA Tour” at the House of Blues in Myrtle Beach. This 1980’s band will take you on a walk down memory lane as well as provide you with some of their new creations! For more information visit http://www.houseofblues.com/myrtlebeach/EventDetail?tmeventid=2D005573A6241D84&offerid=94153. February 18 – “Rita Rudner” at the Art Center of Coastal Carolina on Hilton Head Island. This former dancer turned comedian will fill your evening with lots of laughter by this very talented comedian! For more information call (843) 686-3945 or visit http://www.artshhi.com/performance-shows/rital-rudner. February 18 – “An Evening with Jake Shimabukuro” at the Charleston Music Hall in Charleston. This is a rescheduled show from September due to Hurricane Florence. For more information call (843) 853-2252 or visit https://www.charlestonmusichall.com/event/1720021-rescheduled-evening-jake-charleston/. February 18 – 24 – Hilton Head Island Seafood Festival at a variety of locations around Hilton Head Island. If you’ve been craving some great seafood, here is your chance to get some of the best! For more information visit https://www.hiltonheadseafoodfestival.com/. February 19 – “I Have a Dream: The Life and Times of Dr. Martin Luther King, Jr.” at the Francis Marion University Performing Arts Center in Florence. This performance for children ages 3 to 12 will give them some insight of the challenges this great leader faced and the accomplishments he made for Civil Rights. For more information call (843) 661-4444 or visit https://fmupac.org/events/. February 19 – ‘Cinderella” at the Gaillard Center in Charleston. This Tony Award winning Broadway musical is one you won’t want to miss! For more information call (843) 724-5212 or visit https://gaillardcenter.org/event/rodgers-hammersteins-cinderella/. February 19 – 24 – Beaufort International Film Festival at the Center for the Arts at the USC Beaufort Campus in Beaufort. Here is a chance to see a wide variety of great films that will educate and inspire you! For more information visit https://www.beaufortfilmfestival.com/film-digital-media-symposium.